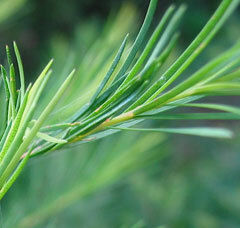 Tea Tree essential oil is steam distilled from the leaves and twigs of the Melaleuca alternifolia, a small evergreen tree that is native to Australia. Has anti-bacterial, anti-biotic, anti-infectious, anti-inflammatory, anti-parasitic, anti-viral and anti-septic properties. Found to be beneficial for acne, athletes foot, blisters, burns, chicken pox, cold sores, dandruff, fungal infections, herpes, insect bites, oily skin, skin rashes, warts and wounds. Often used in acne soaps but is now being used in colognes and aftershaves as well. Is a colourless to pale yellow color and has a fresh, woody, camphoraceous scent that is warm and spicy yet slightly medicinal. Blends nicely with herbal oils, mints, spices, bergamot, eucalyptus, geranium, juniper, lavender, lemon, oakmoss, pine and rosewood.